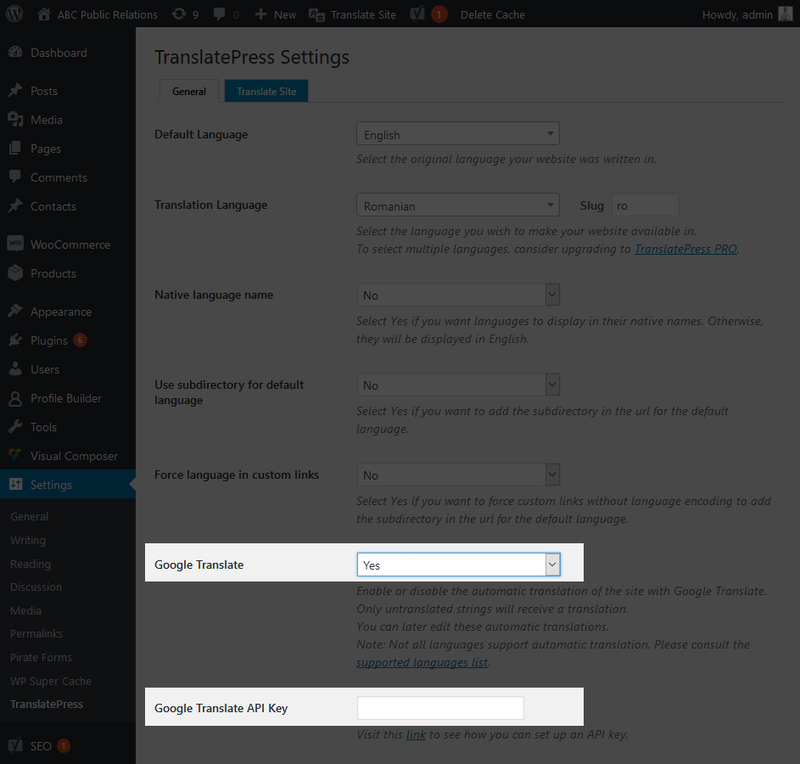 Restrict usage to control costs – Important! 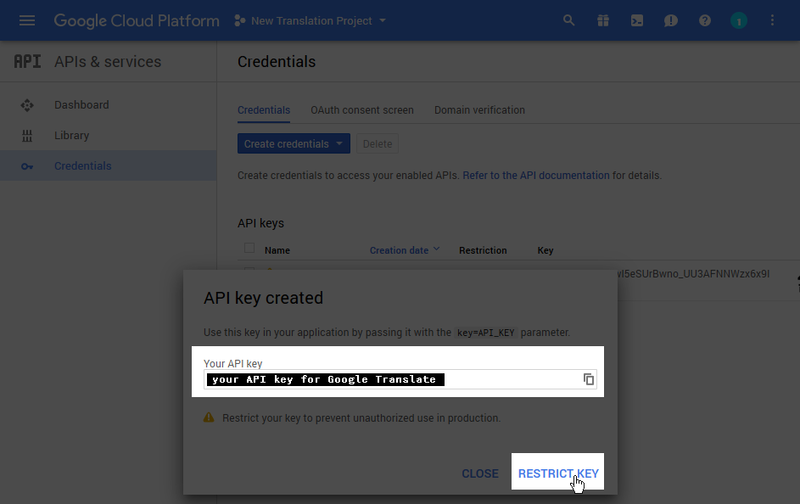 In order to create a Google Translate API Key you need a paid account. 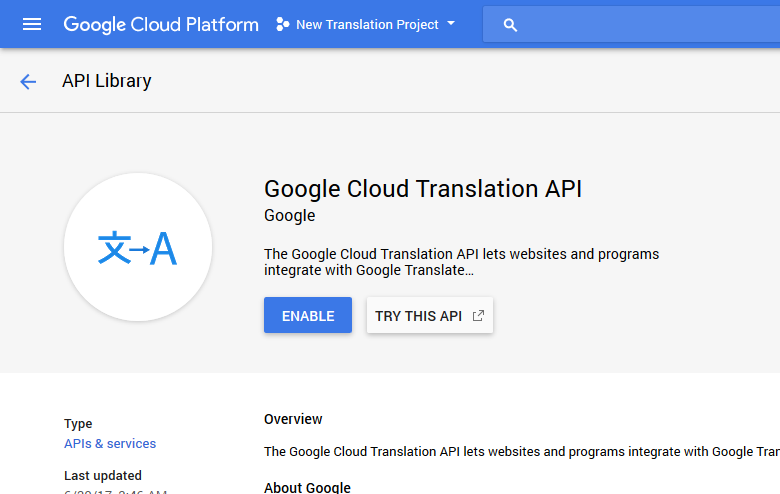 Through their terms and services, Google doesn’t allow for non-paid usage of their Translation API. 1. Create a new Project from the top bar. 3. 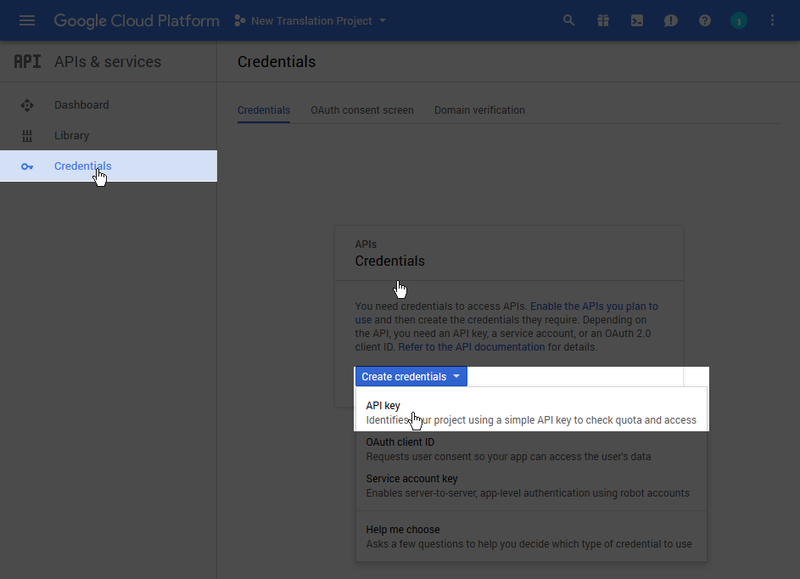 From the credentials interface create a new API Key. 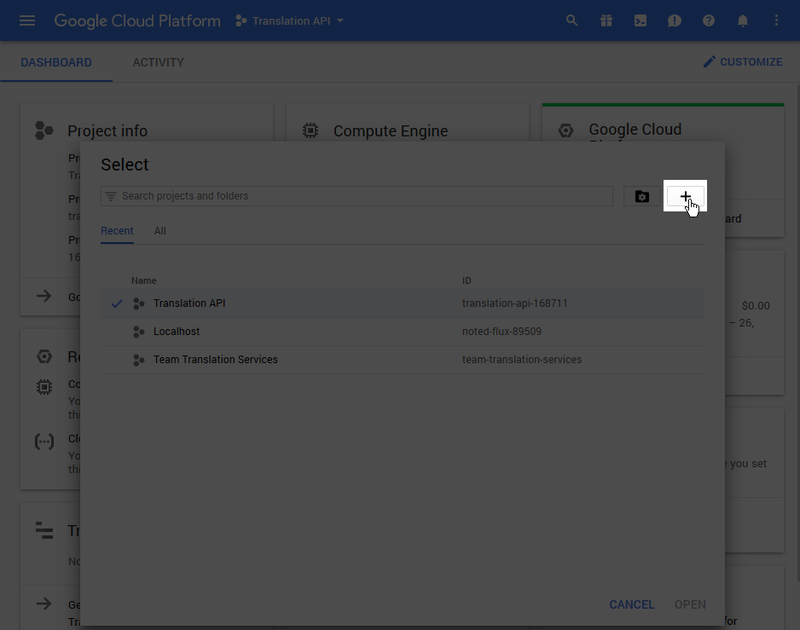 In Google Dashboard, use the HTTP Referrer provided in the description of the Google Translate API Key field in Settings -> TranslatePress, as shown in the following screenshot. 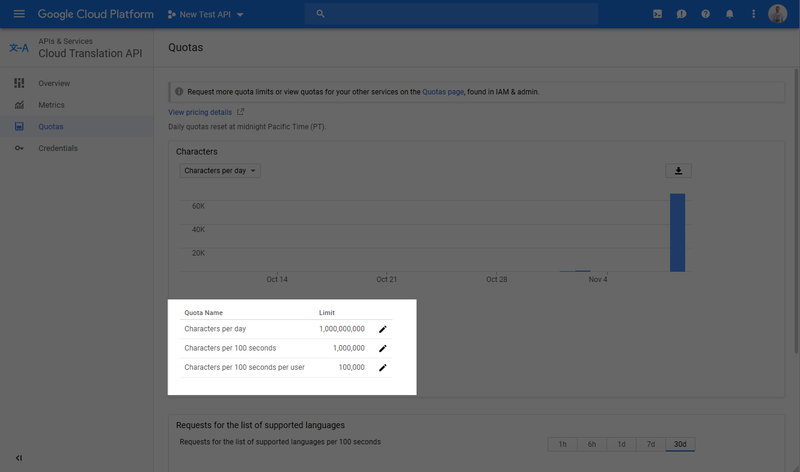 In order to have control over the cost of Google Translate API, it is highly recommended to set quotas to limit the usage. 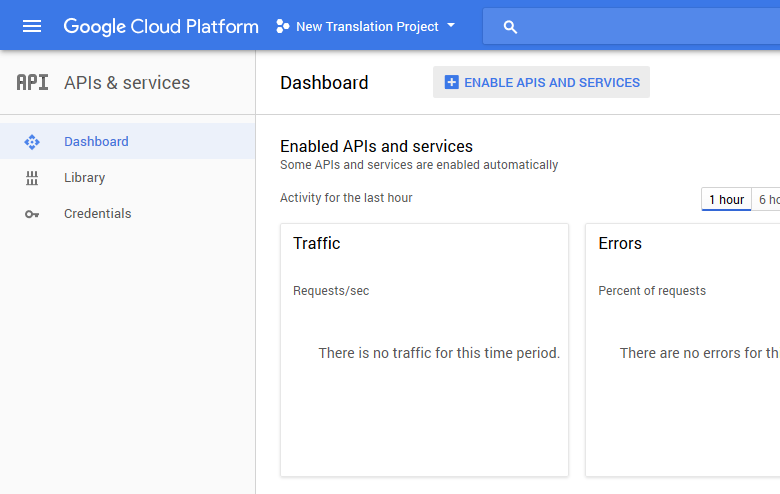 Go to Google API’s & Services → Dashboard → Cloud Translation API → Quotas and set up quotas as shown in the following screenshot. 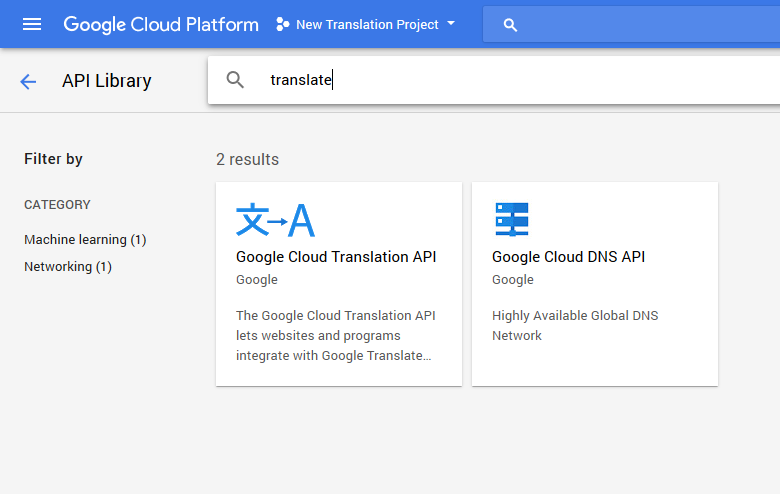 Set Google Translate field to Yes. 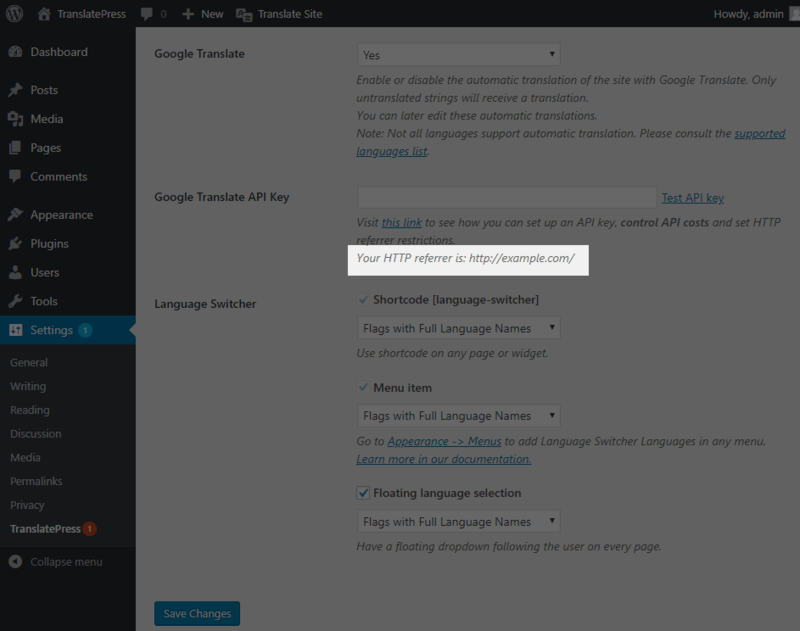 This will uncover the Google Translate API key field. 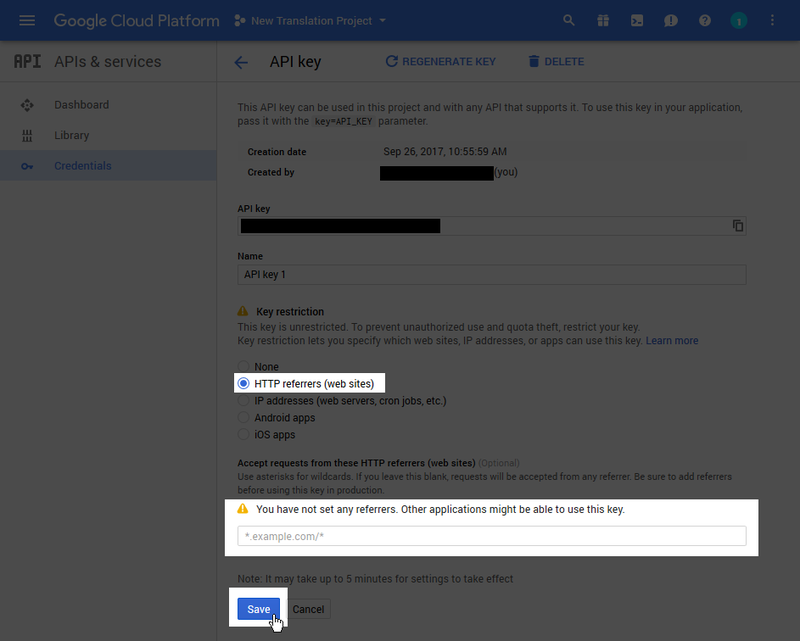 Place the API key in this field and Save Changes.